What Went Wrong for Austin Reed? 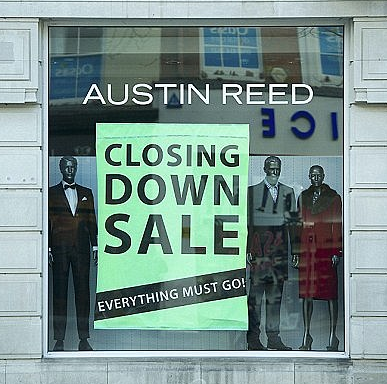 When Austin Reed launched in 1900, they were one of the first British companies to mass produce garments for men that rivalled tailored clothes in terms of quality. During the century that followed, the outfitters remained at the vanguard of fashion, dressing everyone from The Beatles to Winston Churchill, while expanding their range of products and constantly refurbishing their Regent Street flagship store. "But, of course, the biggest mistake Austin Reed made was that they failed to recruit young shoppers. Younger men would have brought crucial sales as this is a generation entering the workforce for the first time. Men in their twenties, who spend more regularly anyway and like to update their style frequently, are not satisfied with one suit. So, had they managed to tap into this critical customer base, maybe things would have worked out differently." "Other, more successful brands of Austin Reed's ilk, even those with a solid Jermyn St heritage, are today exploring new ways to engage with the style-literate man," says Stephen Doig. "This may be through the introduction of narrower cuts of suits, offering innovative services (a company like Suit Supply will nip and tuck a suit for you within days, and others will offer tailoring at your office), launching exciting collaborations or establishing a fresh visual identity. "Austin Reed is not. But I also think British men are far less inclined to dress by numbers these days - shirts and suits will always be important, but they are significantly less so in a working wardrobe today. Personally, I don't feel that the brand really explored alternatives to that tried and tested formula. "All in all," Doig concludes, lamenting the loss of what was once a cutting-edge British institution, "a real shame." When ever Rhonda had an important meeting, interview or dinner and a good impression was needed, Austin Reed suits were my go-to look. Times and styles have changed. Good bye to a good friend. 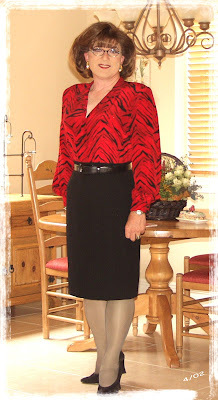 What is your favorite business look? - Share.